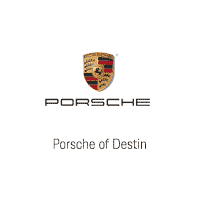 Porsche of Destin is one of the Best Dealership I've been to. People here are really dedicated to their customers and their needs. Some of the People that never fail to impresse me are Andy (service Manager), Brandon (lead tech) Daniel ( Sales), Natasha (sales), Raphael(Sales), Star (front desk). They are always there to help make your life that much easier, so busy bee like me can go about taking care of my patients without having to worry about my babies( 911 and the Macan).I would like to take this opportunity to thank you all esp Andy, Brandon and Daniel for making my life easy. YOU GUYS ROCK!! Could not have had a better car buying experience at Porsche of Destin. The high level of professionalism and integrity shown by all at this dealership makes the car buying experience enjoyable. The certified pre-owned cars look and feel like a new car, and have better than new car warranties. This is not your typical car dealership.